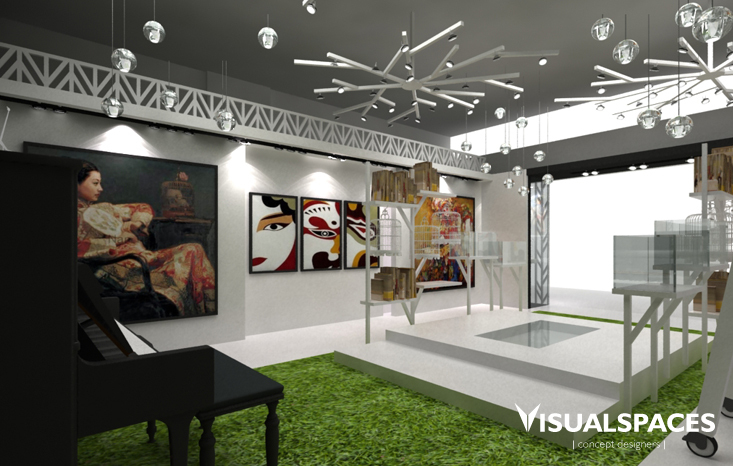 Visual Spaces was invited to design a Chinese Art Gallery in Waterloo Street. 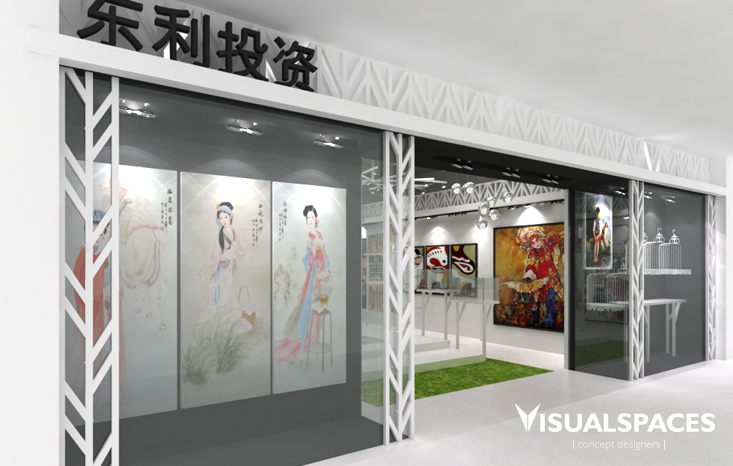 A small collection of paintings, sculptures and bottle art imported from China are on display for sale in this small art gallery. A clean design concept with accents of modern Chinese decorative elements were incorporated to strengthen the branding. Tree inspired display showcases flanking the both sides on the gallery portray a painted scenery of a Chinese painting. A raised platform surrounded by faux grass depicts a bridge in a painting, creating a mini Chinese landscape within the Art gallery. A full height mirror reflection makes the gallery feel longer which also serves as a partition for an office area behind.